La Brigantessa is a novel of historical fiction which takes place following the Unification of Italy (1860’s), during a decade of turmoil. It was a time when law enforcement was often worse than the criminals and the law only protected the wealthy. The main character, Gabriella Falcone, is a young peasant girl whose family work for the parish priest in a small village in Calabria. Her inamorato, Tonino has volunteered to fight alongside Giuseppe Garibaldi. When Gabriella stabs a nobleman in self defense, she is forced to flee with the priest, knowing that her version of what happened will not be believed. La Brigantessa has everything a great read needs…love, honour, class struggles, jealousy, betrayal, bravery, suspense, and even a ‘modern’ Calabrese Robin Hood. The story is told from the point of view of many characters, yet they are all so well-developed there is no confusion. Each character is given a detailed, credible backstory, revealing their individual struggles and motivations. I was emotionally invested in these characters, even the nasty ones! The attention to detail regarding life and customs in 19th Century Calabria transported me there. I have been waiting 2 years for this book to come out, since I listened to the author read excerpts from it at 2 conferences-and it did not disappoint. This is not one of those book reviews that gives away the whole book, so that is all I am going to say! Pour yourself a glass of vino-red, of course, sit back and enjoy. I can’t wait for the sequel and/or movie. 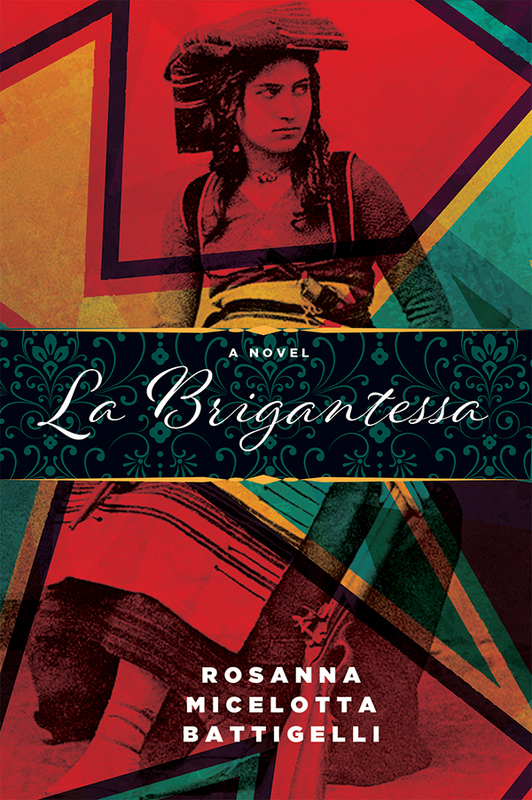 La Brigantessa is published by Inanna Publications, a Canadian Publisher based in Toronto, focusing on women’s writing. The book is available from the publisher or from Amazon or Chapters. Viva la Brigantessa! Thank you for this thoughtful review, Cristina. You have definitely piqued my interest! And I must say that I love the cover. It’s such an iconic photo and the overlaying of the colors makes it both contemporary and eye-catching. Yes, it sounds interesting. As for M. DeCesare, there’s even a restaurant in Philadelphia named Brigantessa with that very photo as the symbol hanging over the bar. Cool! I will have to ask Rosanna if she knows that. Poor Michelina came to a tragic end. I’ll put it on my Amazon Wish List. Have you read The Birth of Venus by Sarah Dunant? It takes place in Firenze – I loved reading it. I heard her speak in SF when she was on the book tour. I also read In the Company of the Courtesan which takes place in Venezia but didn’t enjoy it as much as Birth of Venus. This sounds like an interesting read. I have put it on my “to-read’ list. I did look it up on Amazon, but they say it is currently unavailable. I will check back. sounds like a hot book with 5 pepperonici, mama mia.